Black Locust is the first of three modules in the feedback console series. With no external input signals, the four pedals can operate in a closed feedback loop, self-generating audio signals that are impossible to directly control - only influence. This module is a gateway to this highly experimental patching technique. 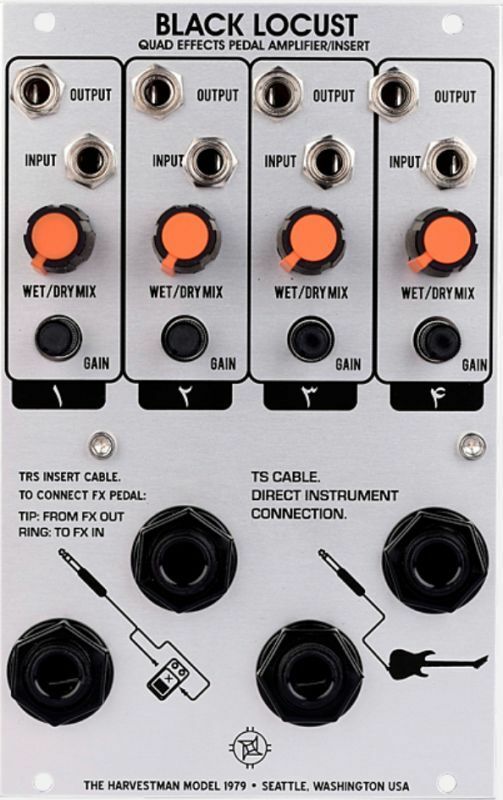 Further modules in the feedback console series include a matrix mixer and programmable quad VCA/envelope follower/signal router, each designed to expand the Black Locust for deeper exploration of the feedback technique. You will quickly discover sounds that you will never hear again.